Suicide Squad Review Rating: Based on the DC Comics antihero team, Suicide Squad movie is the new American superhero film filled with Action and Adventure and written and directed by David Ayer. It is distributed by DC Extended Universe. 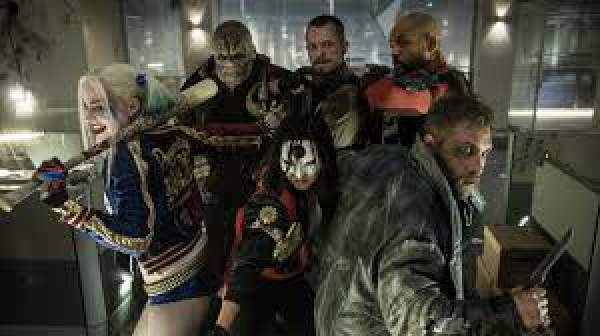 The flick features Will Smith as Deadshot, Jared Leto as Joker, Margot Robbie as Harley Quinn, Joel Kinnaman, Viola Davis as Amanda Waller, Jai Courtney as Captain Boomerang, Jay Hernandez, Adewale Akinnuoye-Agbaje as Killer Croc, Ike Barinholtz, Scott Eastwood, Cara Delevingne as Enchantress. The movie is edited by John Gilroy. The cinematographer is Roman Vasyanov, and music is given by Academy Award-winning composer Steven Price. This movie is initially released in Beacon Theater in New York on 1 August 2016. It will be released in the United States in 2D, 3D, IMAX 3D on 5 August 2016. The running time of the movie is 123 minutes, and budget of the film is $175 million. The movie revolves around a secret government-operated agency which executes dangerous missions in exchange for clemency and saving the world from the powerful and dangerous threats. In the film, Viola Davis as Waller is playing a role of a bureaucrat who assembles a team of worst supervillains on the planet(so far in the DC Comics). They are constructed to defend America for the next time when a Superman-type crisis comes and threatens the humanity. Waller convinces military to recruit imprisoned meta-humans into a fighting team called Task Force X. They are hit by their own plan which uses nanite bombs implanted inside the super villains and involving a super soldier named Rick Flag (Joel Kinnaman). Now, this story is all about the team Task Force X. If they got success in their mission one day, they will have to fight the another day and got their incarceration reduced. In case, if they lost the battle they can just be written off. Therefore, the movie has been given the name. This movie is filled with jokes but with no level. The introduction part of the characters took a long run time of the film, and the actual problem for which the film is made is neglected. But Director can’t be blamed for this as there are some villains, SUPER-VILLAINS who need as well as deserves proper introduction in the movie. This film has got a critical response from the critics. All critics have given the movie mixed and average reviews which indicated that the flick is not liked by all, but it is still highly anticipated by the fans all over the world even after the previous failure of DC banner (Batman Superman: Dawn of Justice) in March this year. This film will widely release in across 4,150 theaters all over the world. Hope you thoroughly read the movie review of Suicide Squad and rating. Stay connected for more news about the latest movies.